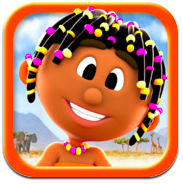 When a group of friends discover a secret treasure map, they need your help to decipher the map and embark on an adventure through the African savanna. Created for children ages 4-6, Zala and the Treasure Cave captivates children’s senses — from touch to sound to sight — through vibrant illustrations, engaging elements to pull kids into the story, and an excellent mix of sounds and narration. Zala and the Treasure Cave adds a new dimension to the idea of storytelling, combining an animated film with interactive games and puzzles that are woven into the story. 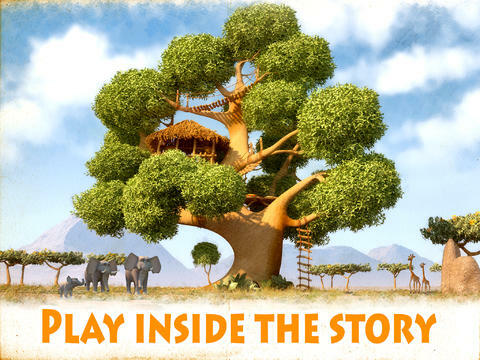 The story-driven app uses the tools of film dramaturgy to transport emotions while integrating puzzles into the plot, while the games and a diverse cast of characters allow children to explore and discover app elements in a playful way. The app’s creators are a talented husband and wife duo who wanted to develop an educational eBook based on their own experiences growing up in Turkey and Germany. Their goal was to create a memorable story of friendship using characters of different colors, religions, and genders. While the creators had a solid background in filmmaking and 3D animation, they were new to the world of mobile development. They evaluated several tools and found that the majority were either too complicated to work with or too simple in their capabilities, especially when it came to straightforward integration of an interactive environment. Within a few days of discovering Corona SDK, they learned the Lua programming language, analyzed Corona’s sample projects, and read Corona and Kwik tutorials to get up to speed. In less than two weeks, they had a working prototype for testing on all devices, featuring audio integration, fade-in and fade-out between scenes, and much more. To experience the striking graphics and high quality narration of Zala and the Treasure Cave, head to iTunes and download the app for $2.99. I downloaded on IPAD one and left a good review. That is video and using story board overlays correct? If not how did you do it so well? I created two images: the first and last frame of every video. Every scene begins with an initial picture, followed by the video. When it is finished I remove it and the final image becomes visible. This done I can then change to the next scene with the interactive elements.